Andrea Mallard, CMO of the social platform, will take the stage as a keynote speaker at Challenger Brands: A Brandweek Event, Feb. 6-7, in New York. Optimistic, uplifting, encouraging—these are words not often used to describe the internet. 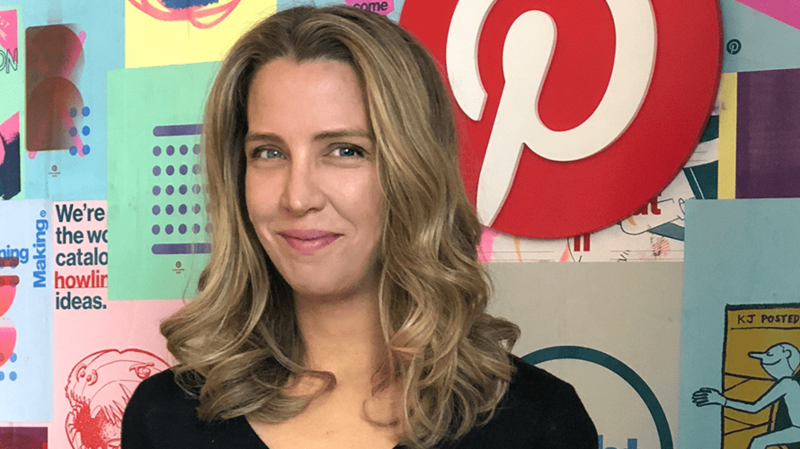 But that’s where Pinterest has carved out a sizable niche, which has grown to 250 million worldwide monthly users saving more than 175 billion ideas (about everything from godparent proposals to patterned wallpaper) on its network. As chatter heats up about a possible IPO in the spring (the company is currently valued north of $10 billion), ad revenue is predicted to top $700 million this year. Unsurprisingly, marketers may be turning to the platform for precisely the same reason that users are—namely, for a snark-free refuge amid the digital cesspool. Ahead of that gathering, which will feature C-suite executives from Seventh Generation, Away, Kimpton Hotels, Panera and other companies, Mallard spoke with Adweek about using data analysis as an add-on to (but not a substitute for) the human touch, helping brands tell richer stories and learning from a rental car’s classic ad campaign. Andrea Mallard: Leveraging machine learning across platforms in the best and most pragmatic way. All brands need to increase the personalization and relevance of the stories they tell—and machine learning is a potentially incredible tool to help us all do so at scale. But the real challenge is to build user experiences that deepen the humanity and authenticity that ultimately makes brands, well, brands. "We believe that Pinterest is one of the few truly positive corners of the Internet." You notably spot emerging trends (example: Pinterest 100 lists), but how are you shaping trends yourself as a tech brand and social platform? We believe that Pinterest is one of the few truly positive corners of the Internet. We actively work to cultivate a space that’s firmly about inspiration. Put simply, we inspire people everywhere to create a life they love. It’s more important than ever to continue to protect this vision, because we’ve seen that technology has a powerful role to play in shaping culture, opinion and politics. Since the beginning, we’ve chosen to wield that power with enormous thought and to design a platform that explicitly aims to bring out the best in humanity as much as possible. We now see other tech companies waking up to that responsibility, which is a critical first step in the right direction. What’s the toughest aspect of being a challenger brand, especially in the always-changing digital/ecommerce category? I always think back to one of the very first challenger brands—Avis—who famously said, “We’re number two. We try harder.” And it’s true. As a challenger brand, you absolutely need to work harder, think smarter and act differently. That’s also the reason that makes being a challenger brand so rewarding and so important—the world needs the next generation to challenge the status quo, to imagine a different approach or to question the way the other guys operate. That’s difficult work, of course, but it’s deeply satisfying, too. You can never rely on gravity to get you anywhere, so you are constantly training your muscles to take risks in new and different ways. "[A]s a challenger brand, you absolutely need to work harder, think smarter and act differently. That’s also the reason that makes being a challenger brand so rewarding and so important." What kind of response are you getting from Promoted Video and Promoted Carousel Ads? Promoted Video has grown significantly over the past year—including our new max-width format—particularly from retail, auto and entertainment verticals who are using it to drive brand awareness and engagement. Universal Pictures, for instance, recently used Promoted Video at max width to promote The House With a Clock In Its Walls with innovative, “feed-breaking” creative that brought the movie’s magic to life.